What is Cradle Cap and How Do I Treat It with Pure Coconut Oil? Read It! What is Cradle Cap and How Do I Treat It with Coconut Oil ? What is Cradle Cap and How Do I Treat It with Pure Coconut Oil? What is Cradle Cap and How to Treat It with Pure Coconut Oil? Cradle Cap is the most common skin disease in newborns and toddlers. Read this article if you suspect your baby has a case of cradle cap to understand what it is, how it is caused, and what you can do to treat it with pure coconut oil as quickly and as safely as possible. Babies are known for their soft, smooth skin. Sometimes, however, newborns can get dry and scaly patches on their scalp without warning, during the first few weeks of life. This condition is more commonly known as cradle cap. Cradle cap is a greasy, yellow or brown, scaly rash that commonly affects infants shortly after birth. When you see these rough patches on your baby’s scalp, you might worry that it’s something serious. Fear not! Cradle cap is actually quite common. The medical term is actually “Infantile Seborrheic Dermatitis” – It’s simply the baby’s form of dandruff. This skin condition got its name because the most common place for the scaly patches to appear is on their head – where a baby would wear a cap. Cradle Cap Causes – Why Does My Baby Have Such a Dry Scalp? 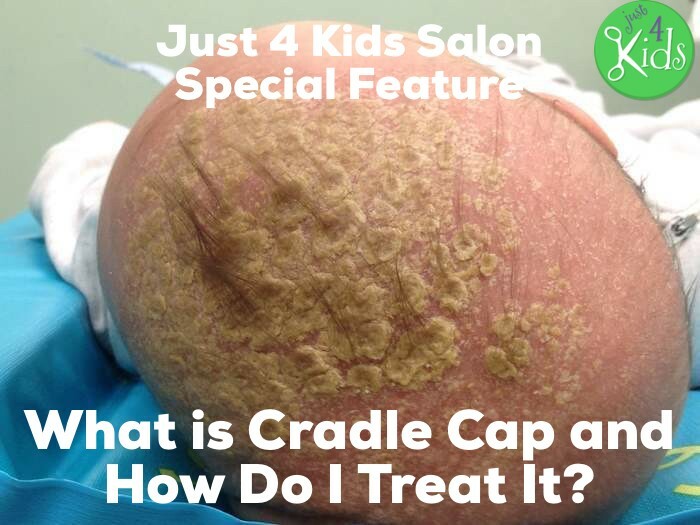 Doctors don’t know exactly what causes cradle cap! Furthermore, they think the rough patches may appear when the oil glands in your baby’s skin produce more oil than they need to. Finally, doctors believe the excess oil production is due to excess hormones in your system while your baby was still in your womb. Your baby’s scalp may appear greasy. They may have white, yellow or brown patches of scales on their scalp. The actual color of the rash actually has more to do with the color of your baby’s skin than anything else. Over time, the scales may flake off. Sometimes, the skin on the scalp may look red, rather than scaly or flaky. Hair loss is rare, but can occur during an outbreak of cradle cap. The hair normally grows back after the condition is treated and goes away. In most cases, cradle cap is easily diagnosed at home. However, if you prefer a doctor visit, your pediatrician will know immediately if your baby has this very common skin condition. Finally – no tests on your baby are needed to diagnose cradle cap. Once you have a diagnosis, you should be able to easily treat your baby’s cradle cap at home with high success. Doctors agree that any number of ointments, oils and lotions can be used to treat cradle cap. At our salon, we created a scalp treatment for use after performing Mundan Cermeonies (A Hindu ritual at around one years old, which involves shaving the entire head and collecting the hair as an offering to the Gods. Further, it is believed that once the “baby hair” is shaved off, it will grow back fuller and thicker than before). This is due to use of the clipper and / or razor leaving the scalp dry and chafed after removing all the hair. Our treatment is a 100% pure coconut oil, that works wonderfully. 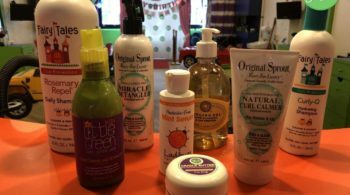 Over time, we learned that moms were also purchasing it to treat cradle cap, and we received rave reviews. Finally, we decided to start packaging the product as Cradle Butter – a treatment specifically for cradle cap! e.) Proceed to baby’s bath time routine. Next, completely wash all coconut oil out of hair with a safe baby shampoo and or conditioner. *If the condition persists, take your baby to see their pediatrician. Also, there are stronger shampoos that contain ingredients such as salicylic acid, coal tar, zinc, selenium, and ketoconazole that can help treat dryness and flaking. Finally – just keep in mind that these special shampoos do require a prescription. The condition of cradle cap is most common in babies, between one (1) day and three (3) weeks old, however it can occur in toddlers, older children and even adults. Cradle cap in toddlers is actually very common. It is not due to poor hygiene, bad parenting nor is it contagious. Further, it can repeat itself in newborns who had the condition, and it can even appear newly in toddlers on its own. 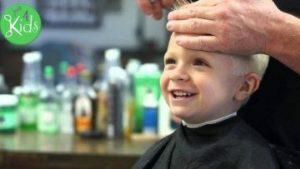 Finally – other things that can cause a scaly rash on the scalp of toddlers include eczema, psoriasis, tinea and scabies. In most cases, however, yellow patchy scales will be present on the skin. Zinc ointment or coconut oil usually resolved the issue by treating in 15 minute intervals before application of children’s shampoo and conditioner. Stress, psoriasis and other factors can cause extreme dryness of the scalp, resulting in seborrheic dermatitis, or cradle cap in adults as well! Consequently, as in newborns and toddlers, moisture of the scalp is key in treating the condition. Adult shampoos like Selsun and coconut oil treatment of the scalp before washing hair is recommended to cure the condition. Pure coconut oil in our experience is the best and most gentle treatment for cradle cap in newborns and toddlers. Further – Feel free to browse our amazing treatment, Cradle Butter. 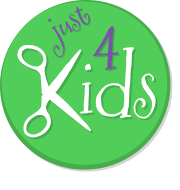 An all natural shampoo or conditioner made specifically for children’s sensitive skin is the best choice. Furthermore, brands like Fairy Tales and Original Sprout are recommended. Browse some options here. Bean-b-Clean makes a wonderful cradle cap brush that we sell in our online store. It works great to gently remove flakes from your babies scalp before using shampoo and conditioner. Google Plus Page – Google Plus is a great new social media platform incorporating a social layer across various services such as Picasa photo storage and sharing, as well as GMail, Calendars and YouTube. Be sure to follow us on it, and contribute to our content! Linked In Page – Linked In is our professional page where we do a good bit of recruiting. We are always looking for the best talent in the market, and our Linked In page shows some good insight into our company culture and provides other valuable information about who we are as an organization. Link us today! Instagram Page – Instagram is a great place to get interesting and local flair content from us, including incredible local photography, highlighting the very best that Hoboken and our salon has to offer. We like to provide interesting weather updates, and great photos of haircuts and birthday parties. Be sure to follow us on it! Yelp! Page – Yelp! is the ultimate independent review site on the web. We strive to maintain excellence in this area, and you can browse honest reviews of our business here. Check us out and share your experience with us! Thanks for checking out our pure coconut oil blog as well as our social media platforms! Call Today at (201) 653-KUTS (5887) to Book an Appointment, or book an appointment on our website by clicking “Book an Appointment”.